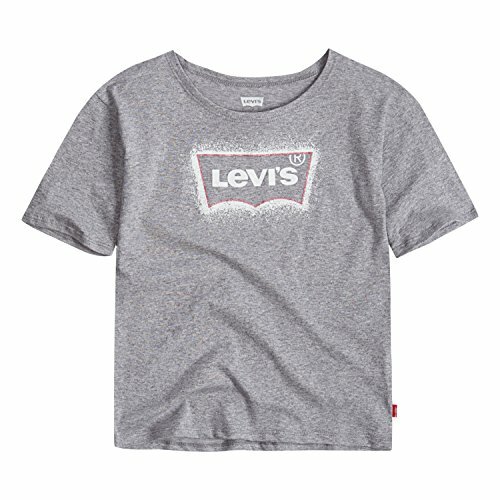 Levi's Girls' Batwing T-Shirt, Marled Grey, S | What Should I Say? Modern silhouettes meets classic Americana in this classic Levi's jersey top. We've cut this top to look beyond trendy with a looser fit, 3/4 sleeves and a scoop neck. Each of these different colored tops feature a Levi's logo graphic at the front, that celebrates the brand, without losing the cool vibe.